RainDance National Golf Club will be developed by Martin Lind near Windsor about one hour north of Denver. The golf course will be carefully laid out on an expansive 325-acre golf only site bordered by the Poudre River. The beautiful rolling topography covered in flowering prairie with dramatic arroyos is a spectacular slice of the beautiful Colorado Front Range. 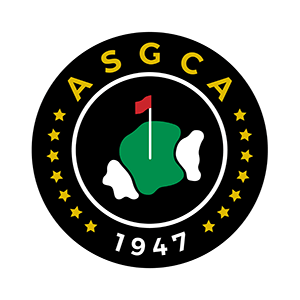 Harrison Minchew, ASGCA, will act as the golf course architect in a collaborative design with Fred Funk and close friend Mark Long producer of the Course guide booklets for the PGA Tour, USGA, and LPGA tournament venues. Fred and Mark Long as player/caddie team discussed for years their passion for golf design and what they would like to one day create as they were playing tournament golf on the world’s best golf courses. Originally Fred and Harrison met in 2005 during his visit to the Palmer Design office in Ponte Vedra, Florida, to learn more about golf design. In 2010 Fred contacted him about working together on RainDance. The course will be designed to not only be a tournament venue but will provide teeing areas and landing areas so that all caliber of men and women players will be able to hit the same club to a green after a well hit tee shot/fairway shot as a Tournament Player would use. The course will be walkable for most everyone. Also Fred, Mark and Harrison insure RainDance will truly be enjoyable for everyone. If a very good player can hit a short club to a green teeing areas will be provided so that a double digit handicap player will be able to use the same short club after a well hit drive. “In developing our concepts for the hole by implementing much more forward teeing areas we will be able to preserve expansive native prairie and arroyos between the teeing grounds and beginning of fairways. This will allow us to greatly minimize water use and maintained turf which will allow RainDance to be an example of environmental sustainability.” Harrison stated.